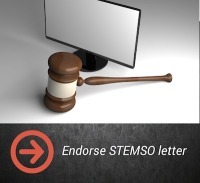 Click to endorse the STEMSO letter. The new EMA classification impacts ALL cellular therapies. It addresses “borderline” situations, essentially not allowing access to cellular therapies. Transplants are the exception to the new classifications, such as a liver transplant or a pancreas transplant. This new regulatory document effects all plastic surgeons, medical device companies, orthopedics, physicians, and all regenerative medicine prospective patients. STEMSO has spent a great deal of time drafting a “collective” response and has placed the letter on our website . We are asking for “endorsements” of this letter to show the EMA CAT Committee that this letter represents the opinion of many. The International Stem Cell Society, STEMSO, is a member based, international, non-profit 501(c) 6 trade association for the purpose of promoting the interests of the global, adult stem cell healthcare industry while linking patients and stakeholders with member medical organizations. STEMSO provides information, education, resources, advocacy and public awareness for the advancement of the adult stem cell industry. This entry was posted in Take Action and tagged EMA CAT, mesenchymal, stem cells, STEMSO on 09/18/2014 by patients.